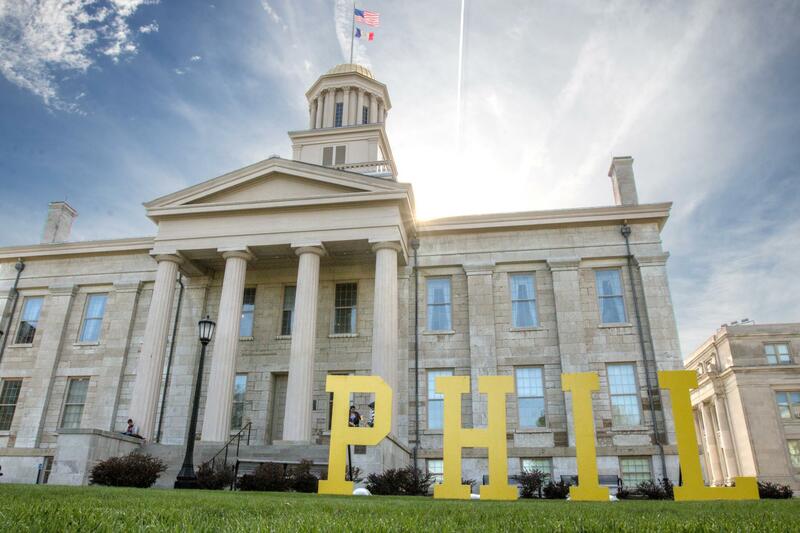 Large wooden letters spelled out P-H-I-L on the Pentacrest during Phil’s Week to call attention to the impact of philanthropy on the UI campus. For the sixth year in a row, the UI held a spring celebration organized by the UI Foundation, the university’s designated fundraising organization, to recognize the impact of philanthropy. Photo by Mark Stastny. 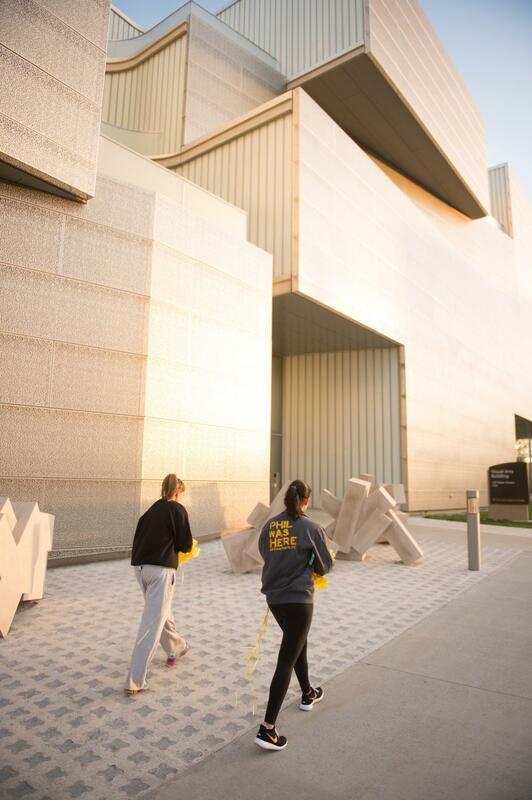 For the sixth year in a row, the University of Iowa celebrated the impact of philanthropy—“Phil”—with a spring celebration organized by the UI Foundation, the university’s designated fundraising organization. 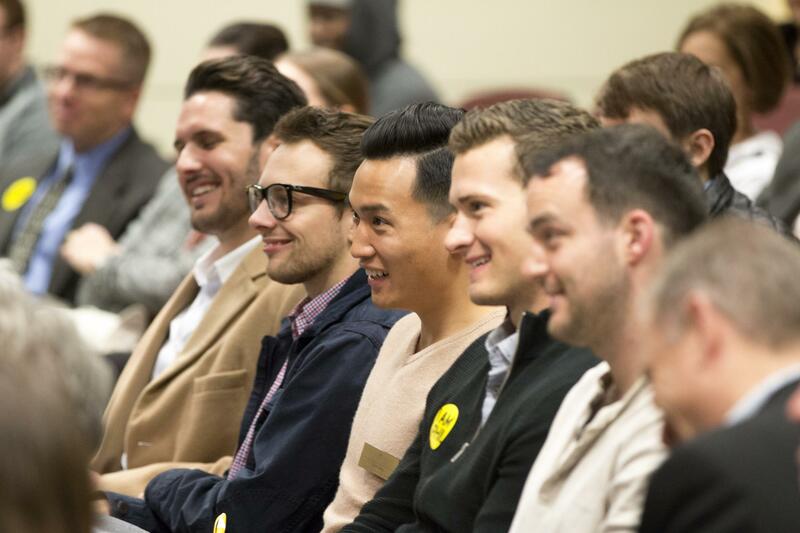 The series of events expanded from one “Phil’s Day” to four days, with activities designed to foster awareness and gratitude among faculty, staff, and students for the increasing role of private support to the UI. On Monday, April 24, scholarship recipients and faculty members holding named, endowed positions sported stickers reading “I Am Phil. Ask me why” to encourage dialog among members of the campus community. “Why am I Phil? Scholarships have helped my family afford college for four kids. I am so grateful that the support was available, thanks to the generosity of people who love the UI,” says UI senior Jacinta Jargo, vice president for social media in the UI Foundation’s Student Philanthropy Group (SPG). 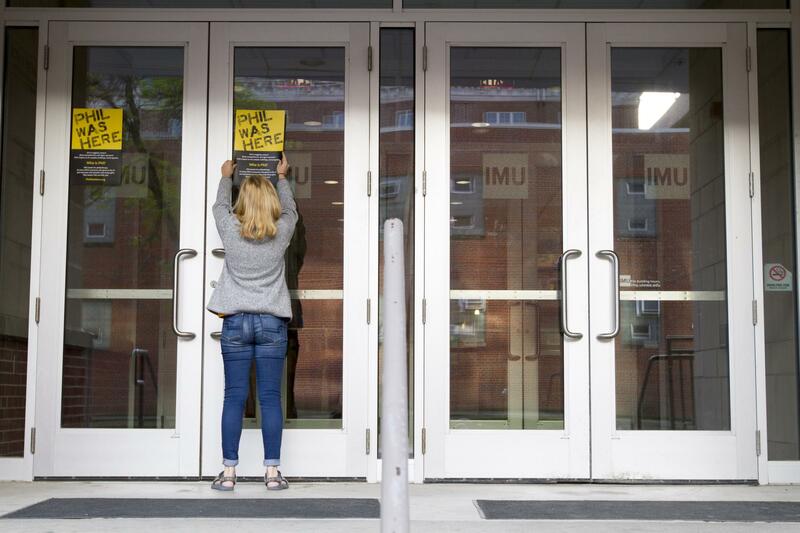 On Tuesday, April 25, dozens of SPG members and UI Foundation staff festooned more than 65 campus buildings with gold ribbons and “Phil Was Here” signs, identifying places around the UI where private gifts have made an impact. Faculty, staff, and students gathered Wednesday, April 26, on the T. Anne Cleary Walkway for a festive new “Faces of Phil” event hosted by the UI Foundation. Campus community members were invited to sign thank-you cards for UI donors, have their Polaroid portraits taken and placed on the “Faces of Phil” wall, and enjoy a discounted food-truck lunch. 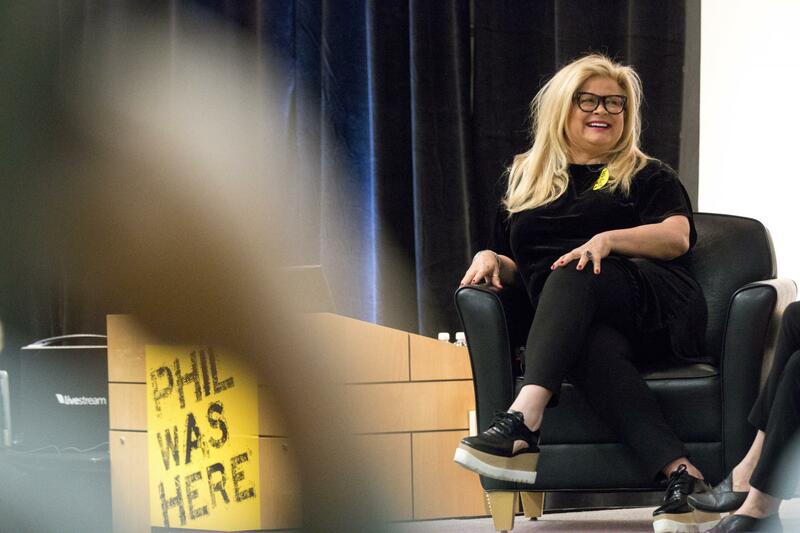 On Thursday, April 27, the foundation hosted the annual spring “Life with Phil” talk featuring UI alumna Sheri Salata, formerly the executive producer of The Oprah Winfrey Show and president of Harpo Studios and the Oprah Winfrey Network. Salata, who earned a Bachelor of Business Administration from the UI in 1980, recently launched her latest venture, STORY, a media company that produces print, TV, film, and digital content. She has been named one of Fast Company’s 100 Most Creative People in Business and one of The Hollywood Reporter’s Women in Entertainment Power 100. “Philanthropy brings additional layers of meaning to how you’re spending your time every day,” says Salata. She found that philanthropy was inextricably linked to her work on The Oprah Winfrey Show and says that it will continue to be part of her life at her new company.